In addition to being regulated by the Fair Debt Collection Practices Act (FDCPA), Texas collection agencies are also regulated by Texas debt collection laws. Discover: Texas collection requirements, bad check laws (NSF), statutes of limitations for both debts and judgments, garnishments plus Texas collection agency license and bonding information. Always consult legal counsel about charging interest. Texas has very strong usury laws and penalties. Acts 1997, 75th Leg., ch. 1008, § 1, eff. Sept. 1, 1997. § 392.202. CORRECTION OF THIRD-PARTY DEBT COLLECTOR’S OR CREDIT BUREAU’S FILES. (a) An individual who disputes the accuracy of an item that is in a third-party debt collector’s or credit bureau’s file on the individual and that relates to a debt being collected by the third-party debt collector may notify in writing the third-party debt collector of the inaccuracy. The third-party debt collector shall make a written record of the dispute. If the third-party debt collector does not report information related to the dispute to a credit bureau, the third-party debt collector shall cease collection efforts until an investigation of the dispute described by Subsections (b)-(e) determines the accurate amount of the debt, if any. If the third-party debt collector reports information related to the dispute to a credit bureau, the reporting third-party debt collector shall initiate an investigation of the dispute described by Subsections (b)-(e) and shall cease collection efforts until the investigation determines the accurate amount of the debt, if any. This section does not affect the appcation of Chapter 20, Business & Commerce Code, to a third-party debt collector subject to that chapter. Acts 1997, 75th Leg., ch. 1008, § 1, eff. Sept. 1, 1997. Amended by Acts 2003, 78th Leg., ch. 851, § 1, eff. Sept. 1, 2003. Amended by: Acts 2005, 79th Leg., Ch. 505, § 1, eff. September 1, 2005. Acts 1997, 75th Leg., ch. 1008, § 1, eff. Sept. 1, 1997. Amended by Acts 2003, 78th Leg., ch. 851, § 2, eff. Sept. 1, 2003; Acts 2003, 78th Leg., 3rd C.S., ch. 3, § 28.01, eff. Jan. 11, 2004. (b) A person who successfully maintains an action under Subsection (a) is entitled to attorney’s fees reasonably related to the amount of work performed and costs. (c) On a finding by a court that an action under this section was brought in bad faith or for purposes of harassment, the court shall award the defendant attorney’s fees reasonably related to the work performed and costs. (1) “Child support enforcement” means an action, conduct, or practice in enforcing, or in soliciting for enforcement, a child support obligation, including the collection of an amount owed under a child support obligation. (2) “Child support obligation” means an obligation for the payment of financial support for a child under an order or writ issued by a court or other tribunal. (3) “Department” means the Texas Department of Banking. (4) “Foreign agency” means a private child support enforcement agency that engages in business in this state solely by use of telephone, mail, the Internet, facsimile transmission, or any other means of interstate communication. (5) “Obligee” means the person identified in an order for child support issued by a court or other tribunal as the payee to whom an obligor’s amounts of ordered child support are due. (6) “Obligor” means the person identified in an order for child support issued by a court or other tribunal as the individual required to make payment under the terms of a support order for a child. (ii) by a political subdivision of this or another state that is authorized by law to enforce a child support obligation. (8) “Registered agency” means a private child support enforcement agency, including a foreign agency, that is registered under this chapter. Added by Acts 2001, 77th Leg., ch. 1023, § 73, eff. Sept. 1, 2001. § 396.051. ADMINISTRATIVE AND RULEMAKING AUTHORITY. (a) The department shall administer this chapter. (b) The Finance Commission of Texas shall adopt rules as necessary for the administration of this chapter. (a) The department shall charge each applicant for a certificate of registration, or renewal of a certificate, a nonrefundable fee of $500 for each certificate. (b) The application fee is due on the date the applicant submits an application for registration. The renewal fee is due on the date a certificate holder submits an application to renew a registration. § 396.053. COST OF REGULATION. The department may charge each registered private child support enforcement agency an annual fee not to exceed $500 to cover the cost of enforcing this chapter. Except as otherwise provided by this chapter, a private child support enforcement agency must register with the department to engage in child support enforcement in this state. § 396.102. RECOGNITION OF AUTHORIZATION ISSUED BY ANOTHER STATE. (2) after determining the applicant has a valid registration or other authorization from another state with which this state has a reciprocity agreement. (b) The department may enter into an agreement with another state to permit registration by reciprocity. (a) An applicant for registration as a private child support enforcement agency must file with the department an application on a form and in the manner prescribed by the department. (4) any Internet or other electronic mail address and business telephone number of the applicant. (c) The chief executive officer of the applicant agency shall state in a notarized statement that the application is accurate and truthful in all respects. § 396.104. FINANCIAL AND OTHER DISCLOSURES. (2) any other information the department may reasonably require the applicant to provide to establish that the requirements and qualifications for registration or renewal of registration have been fulfilled by the applicant. § 396.105. SURETY BOND OR OTHER DEPOSIT REQUIRED. (a) An application for registration must be accompanied by a surety bond approved by the department. (4) conditioned on the private child support enforcement agency’s compliance with this chapter and the faithful performance of the obligations under the agency’s agreements with its clients. (c) The surety bond must be filed with and held by the department. (d) Instead of a surety bond, the department may accept a deposit of money in an amount determined by the department not to exceed $50,000. The department shall deposit any amounts received under this subsection in an insured depository account designated for that purpose. § 396.106. ISSUANCE OF CERTIFICATE OF REGISTRATION. (4) the required registration fee. (2) mail all of the certificates to the principal business location stated in the application. § 396.107. DUTY TO UPDATE APPLICATION INFORMATION. A certificate holder shall notify the department of any material change in the information provided in an application for registration not later than the 60th day after the date on which the information changes. § 396.108. TERM OF REGISTRATION; RENEWAL. (a) A private child support enforcement agency’s certificate of registration expires on the third anniversary of the date of issuance. (b) A certificate of registration may be renewed for another three-year period as provided by department rule. § 396.151. APPLICATION TO OPERATE UNDER OTHER AUTHORIZATION INSTEAD OF REGISTRATION. (3) a copy of the license or other authorization issued by the state in which that agency is authorized to operate. (b) The department may charge a single administrative fee in a reasonable amount that is sufficient to cover the costs of the department in processing and acting on the application. § 396.152. ACCEPTANCE OF OTHER AUTHORIZATION INSTEAD OF REGISTRATION. (4) the department verifies that the registration or other authorization issued by another state is active and in good standing. § 396.153. NOTIFICATION OF UPDATED INFORMATION OR CHANGE IN STATUS OF OTHER AUTHORIZATION. (2) the status of the agency’s authorization in the other state. § 396.154. WITHDRAWAL OF APPROVAL TO OPERATE UNDER OTHER AUTHORIZATION. A holder of a certificate issued under this subchapter may not engage in business in this state as a private child support enforcement agency if another state has revoked or withdrawn the person’s authority to operate as a private child support enforcement agency in that state unless the department grants the agency a registration under this chapter. § 396.201. REGISTRATION PREREQUISITE TO SUIT. A private child support enforcement agency may not bring an action to enforce a child support obligation in this state unless the agency is registered or otherwise authorized to engage in business in this state as provided by this chapter. (4) any other pertinent information relating to the child support obligation, including any case, cause, or docket number of the court having jurisdiction over the matter. (b) The records required under this section must be updated at least monthly and must be maintained by the registered agency for a period of four years from the date of the last support payment collected by the agency on behalf of an obligee. § 396.203. CONTRACT FOR SERVICES. (a) A registered agency and foreign agency authorized to engage in business under this chapter shall execute a written contract for the enforcement of child support for each client of the agency that is residing in this state. (2) specify its terms in clear language. § 396.251. THREATS OR COERCION. (4) intentionally representing to a person that the agency is a governmental agency authorized to enforce a child support obligation. (2) taking, or threatening to take, an action authorized by law for the enforcement of a child support obligation by the agency. § 396.252. FRAUDULENT, DECEPTIVE, OR MISLEADING REPRESENTATIONS. 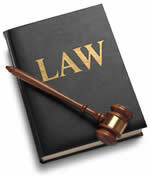 (3) falsely represent that an oral or written communication is the communication of an attorney. § 396.301. REVOCATION OF REGISTRATION. (3) fails to maintain and produce at the request of the department records attesting to the financial solvency of the registered agency or other business records concerning client accounts. (b) The department may permit a registered agency to take an appropriate action to correct a failure to comply with this chapter and not revoke the registration of the agency. § 396.302. ADMINISTRATIVE HEARING ON DENIAL, SUSPENSION, OR REVOCATION OF REGISTRATION. (a) The department may not deny or suspend the registration of a private child support enforcement agency under this chapter without first conducting an administrative hearing. (b) A hearing under this section or Section 396.301 is subject to Chapter 2001, Government Code. § 396.303. BONA FIDE ERROR. A registered agency does not violate this chapter if the action complained of resulted from a bona fide error that occurred notwithstanding the use of reasonable procedures to avoid the error. § 396.304. ADMINISTRATIVE INVESTIGATION OF COMPLAINT. (a) A person may file with the department a written complaint against a registered agency for a violation of this chapter. (b) Not later than the 30th day after the date on which the department receives a complaint under this section, the department shall initiate an investigation into the merits of the complaint. (c) The department may appoint a hearings officer to conduct the investigation. (2) reach a settlement without the requirement of further investigation. (e) The department may delegate to a hearings officer appointed to investigate a complaint under this section the authority to dismiss the complaint, after an initial investigation and after notice to each affected party and an opportunity for hearing, for lack of sufficient evidentiary basis. (f) An individual aggrieved by a decision of the department or hearings officer under this section may appeal the decision to a district court in Travis County. (g) The department shall provide for an annual public inspection of an investigation report of a complaint filed under this section. (2) actual damages incurred as a result of a violation of this chapter. (b) A person who prevails in an action brought under this section is entitled to recover court costs and reasonable attorney’s fees. § 396.352. SERVICE OF PROCESS OUTSIDE STATE. (a) A registered agency that is located in another state or a private child support enforcement agency that engages in the business of child support enforcement in this state in violation of this chapter is considered to have submitted to the jurisdiction of the courts of this state with respect to an action brought under this chapter. (b) A foreign agency engaging in business in this state in violation of this chapter is considered to have appointed the department as the agency’s agent for service of process in any action, suit, or proceeding arising from a violation of this chapter. § 396.353. REMEDIES UNDER OTHER LAW. (b) This chapter does not affect or alter a remedy at law or in equity otherwise available to an obligor, obligee, governmental entity, or other legal entity. Knowing and abiding to the proper Texas debt collection laws is important for both creditors and collection agencies alike. There are debtor’s rights attorneys who are just waiting for creditors or collection agencies to slip up. If you mistakenly violate the Texas debt collection laws, you could create a liability for your business and even open yourself up to a expensive lawsuit. Please note: Texas debt collection laws can change over time, and you need to consult with an attorney before you use this information.